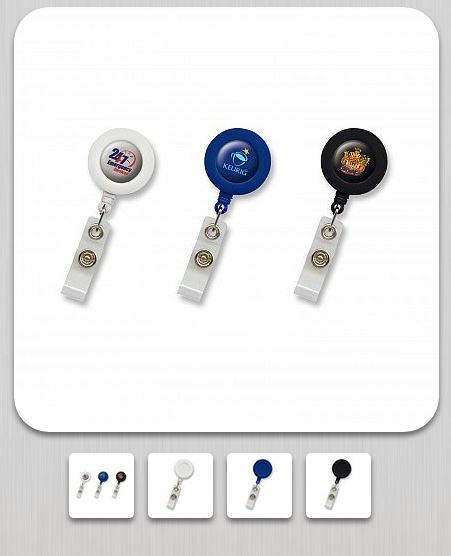 Description: Retractable identification holder with a reliable steel spring, an unbreakable cord and a standard dome attachment for holding plastic identification cards. Dimensions: Dia 33mm x L 85mm x 15mm. Branding Options: Pad Print: 18mm circle. Resin Coated Finish: 21mm circle.